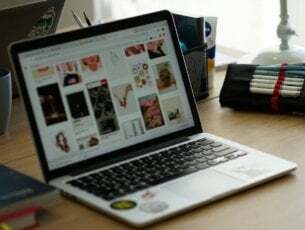 Most likely when you reinstalled your Ubuntu system on your Windows 8 or Windows 10 device, you might have gotten some error messages when trying to boot into Windows 8 or Windows 10 operating system. Although this issue is not very common, I will explain to all our readers how you can fix it and prevent it from happening in the future. The error message that you might get is this: No boot disk has been detected or the disk has failed. But you don’t need to be alarmed because in the majority of the cases your disk is not broken. 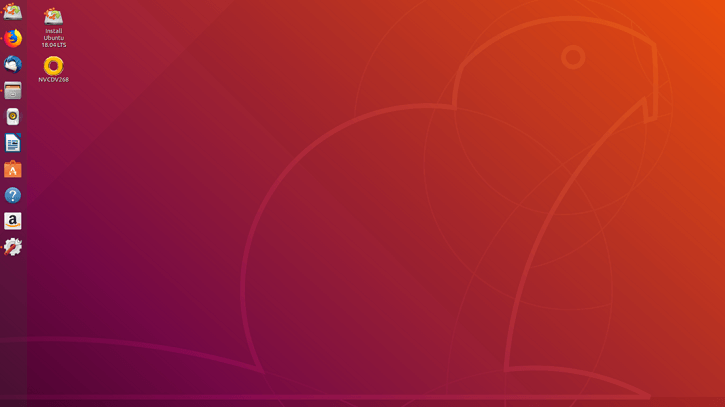 The first step you should take is to check if you can boot into Ubuntu. If you can, then it is a Windows 8 or a Windows 10 issue and you can fix it by following the steps listed below. Place a USB or a DVD in the Windows 8 or Windows 10 device with Windows recovery media. Reboot the Windows device and you should get to the “Advanced options” window. In the window that shows after the device boots from the USB or DVD, you will need to left click on “Troubleshoot”. 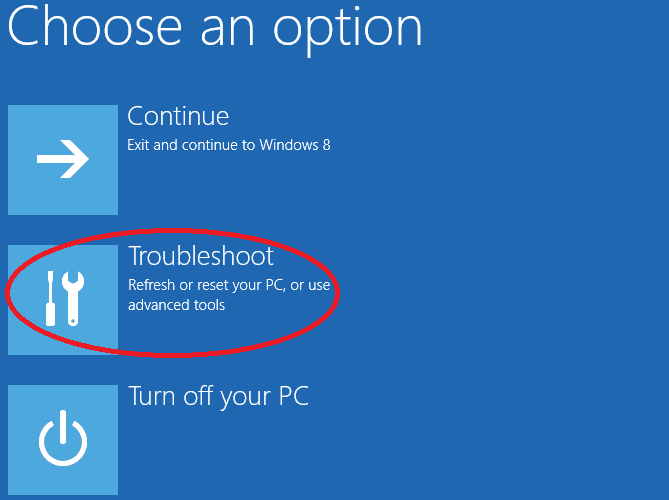 After left clicking on “Troubleshoot”, you will need to select “Advanced Options” feature. Left click on “Command Prompt” feature. The Windows 8 or Windows 10 device will restart and then you need to choose your account to sign in. Now after Windows restarts, you will get to a black window which is the command prompt. In the command prompt window type “diskpart”. Hit “Enter” on the keyboard. Type in the following command “sel disk 0”. The EFI partition you have there should be a “FAT32” partition. We will take for example that the “EFI” partition is Volume 2. After you hit “Enter” you will get a message saying “DisKPart successfully assigned the driver letter or mount point”. Type in the command prompt “exit”. 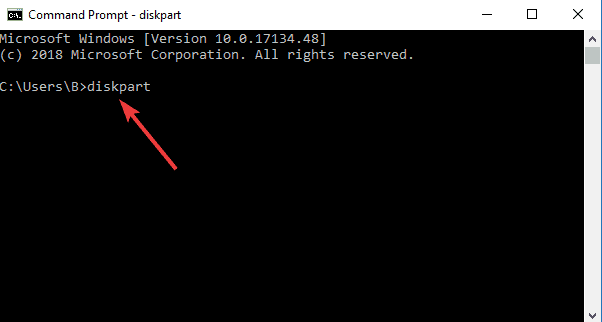 Now you will still have the command prompt window in front of you but you will be take out of the “DISKPART>” feature. Note: The bootrec /fixboot command will repair your selected drive. Remove the USB or DVD with the recovery media and try a reboot of the Windows 8 or Windows 10 system. Download and install Boot Repair. With the help of this tool, you can repair boot errors on dual-boot machines. You can use it when you can’t boot Ubuntu after installing Windows 10, or when you can’t start Windows 10 after installing Ubuntu. Boot in UEFI Mode. If you don’t use this boot mode, you may experience various boot issues when launching your Windows 10 OS. 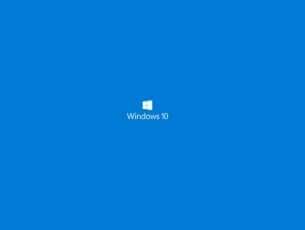 Keep in mind that OEMs usually install Windows 10 in UEFI mode by default. If you install Ubuntu in legacy mode, you won’t be able to boot to Windows 10 simply because you installed the two operating systems under two different modes. Make sure that both operating systems are installed in UEFI mode so that you can boot booth of them. After the restart everything should be back to normal and you should be able to boot into Windows with your Ubuntu still running. If you have any questions on fixing your Windows 8 or Windows 10 after installing Ubuntu, use the comments below to let us know.